Alumni Chapter Hosts "Dawgs for Dogs"
The Student Activities Board will host musical artists Matt and Kim at 8:30 p.m. Sept. 26 in Pershing Arena. Doors will open at 8 p.m. The event is $5 for Truman students, faculty and staff and $15 for general admission. Tickets are available now and may be purchased in the Student Activities Board Office in the lower level of the Student Union Building or online. Matt and Kim are an American alternative/indie dance duo. Their 2006 single “Daylight” reached No. 95 in the United States and in 2012, their single, “Let’s Go,” reached No. 20 on United States alternative music charts. They have released four albums: “Matt and Kim,” “Grand,” “Sidewalks” and “Lightning.” “Sidewalks” and “Lightning” reached No. five and No. 10 on U.S. independent album charts, respectively. Kansas City, Mo.-based alternative rock band Not a Planet will be opening for Matt and Kim. The alternative genre had the highest vote for top choice of genre in SAB’s Big Entertainment Survey, with 30 percent of Truman students voting for this genre. For more information, visit sab.truman.edu or call 660.785.4722. This past summer Will Evans, senior classics major, was one of 15 people in the nation to be accepted into the Second City’s comedy studies program, affiliated with Columbia College of Chicago. Evans is not a new face to the Second City scene. After his JINS course “The Art and Science of Humor,” he realized that comedy had the potential to develop into a career. The following summer, Evans began to pursue opportunities to develop this interest, including taking two week-long courses at the Second City Training Center in Chicago. The Center is best known for producing comic talents such as Mike Myers, Steve Carell, Stephen Colbert and Tina Fey. “I wanted to find opportunities to hone my comedy, and also to see if it was worth the risk of attempting to get into the entertainment business,” Evans said. A year later, with Second City experience already under his belt, Evans applied for their summer studies program and was accepted. Monday through Friday, he attended classes in vocal and movement training, comedy history, improvisation and comedy writing. In addition, there were also workshops on Friday that focused either on music or acting. Unlike traditional homework, Evans’ work consisted of writing sketches, performing stand-up or creating scenes for silent films. The program’s final performance showcased one of his sketches among other student-written pieces. At the end of the comedy studies program, Evans’ teachers told him that despite a few minor areas to work on, he had a lot of talent. 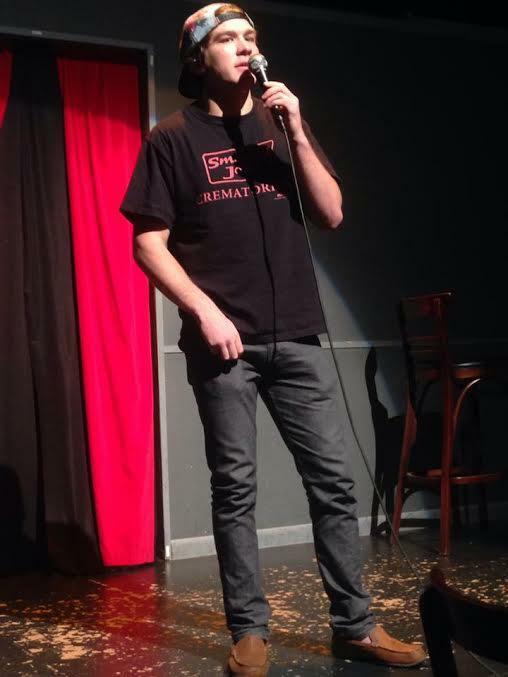 He plans to continue a career in comedy and apply for an internship at Second City or the Conservatory in Chicago after graduation. Undoubtedly, Evans is hooked on comedy. 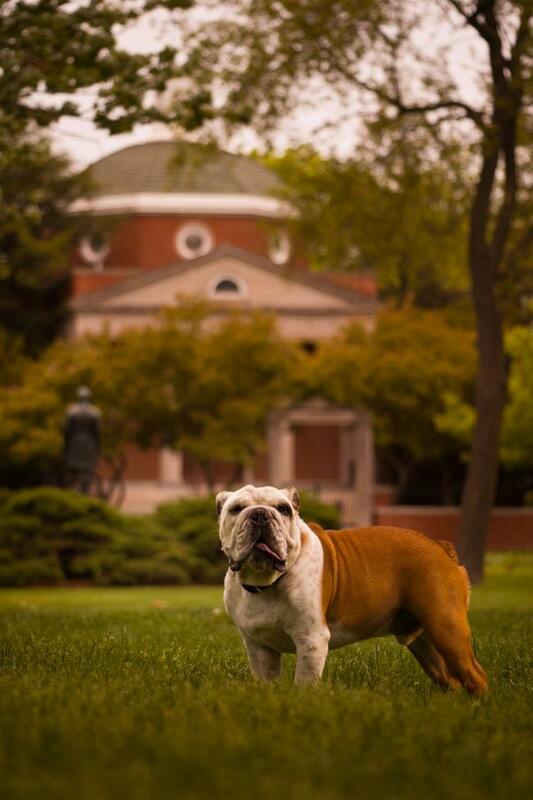 On campus, he is the president of Upchuckles, Truman’s own student comedy club. The club’s next performance “Little Theater, Big Laughs” will take place at 8 p.m. Sept. 27 in the Baldwin Hall Little Theater. There will also be a stand-up workshop beforehand at 5:30 p.m. There is no cost to attend. The Classical and Modern Languages Department will host an alumni panel from 10:30 a.m.-11:20 a.m. Oct. 10 in the Student Union Building Down Under. The panelists will talk about life after Truman and discuss ways to re-vision careers in foreign languages. The three speakers are Ashley Adams (’13), Laura Provance (’07) and Erin Flannery (’11). Adams grew up in Monticello, Ill. She now resides in Champaign, Ill., where she is pursuing her Master of Arts in African Studies at the University of Illinois Urbana-Champaign. Adams received her Bachelor of Arts in romance languages in 2013. On campus, she was a member of the African Students Association, Phi Sigma Pi, Pi Delta Phi, played on the women’s Bullets Rugby team and was named Romance Language Student of the Year her senior year. After graduating from Truman, Adams volunteered with an international nongovernmental organization (NGO) in Tanzania, East Africa. She plans to continue her international NGO work in Africa teaching public health education. Flannery grew up in Raytown, Mo., and now resides in Lawrence, Kan. She graduated in 2011 with a Bachelor of Arts degree in Spanish and romance languages. On campus, she was an active member of Alpha Phi Omega, participated in TSODA and Hablantes Unidos and received the award for the Outstanding Romance Language Student. Flannery went on to earn a Master of Arts degree in Latin American cultural, literary and linguistic studies from New York University. She currently works as the administrative assistant and translator at Horizon Systems, Inc., an engineering and manufacturing company. Flannery also owns her own freelance translation company, Renderance Translation Services. Provance resides in her hometown, Springfield Mo., where she is the co-owner of Arts & Letters. The business is a gallery, boutique and cultural center that features locally made art, jewelry, clothing and unique gifts, hosts cultural events, album releases and book readings and offers foreign language and art courses. As a student at Truman she was actively involved with Eta Sigma Phi and Classics Club. In 2007, she graduated with a Bachelors of Arts degree in classics and a minor in Italian studies. After earning a master’s degree from the University of Arizona in 2009, Provance spent the following four years in Europe. She worked for two years as a freelance tour guide before founding Roads to Rome, a private, personalized tour company. More details on the three panelists are available here. The students who will be presenting are: (back row) Abby Crew, Kelsey Dreiling, Sam Streff, Katie Kurtz, Lauren Null, Angie Rardin; (front row) Kaylee Knauth, Megan Johnson, Czerina Rivera and Lindsey O’Brien. 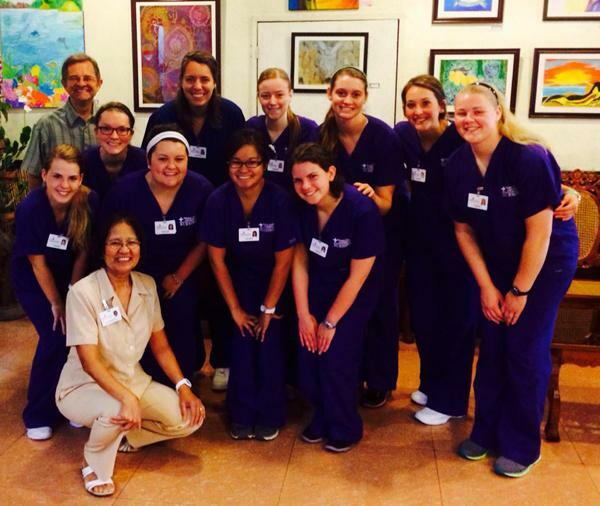 This past summer, the senior-level nursing students journeyed half way across the globe to the Philippines. Under the supervision of two nursing professors, Kit and Steve Hadwiger, the students participated in numerous nursing and cultural exposures, while gaining a new cultural perspective on health care delivery. During their trip, the students were exposed to a variety of clinical settings and were given the opportunity to participate in many clinical experiences, which included delivering babies in the Labor and Delivery Unit at Jose R. Reyes Memorial Medical Center, participating in family health visits in the Gawad Kalinga Community Village, performing health screenings at a women’s social hygiene clinic and providing culturally competent nursing care to patients in the surgical, pediatric and medical service wards at West Visayas State University Medical Center. The students finished the program by traveling to Iloilo City, where they were partnered with local Filipino nursing students. The presentation is open to the public and refreshments will be served. While the football team takes on Lincoln University, the Alumni Chapter will host a fundraiser to support the local Humane Society Shelter. Chapter officers and volunteers will collect donations from 6 p.m. until halftime outside of the main gates. Items include food, litter, cleaning supplies or cash donations. For those unable to make it to the game, donations can be dropped off in McClain Hall 205 to Alumni Relations. The game is free for Chapter members. Tickets also include complimentary refreshments and seating in the President’s Section. If you are interested in becoming a member, visit the online Alumni store. For more information, contact Denise Smith, director of Alumni Relations, at dlsmith@truman.edu or Caitlin Kern, coordinator of Alumni Relations, at caitk@truman.edu. Several Truman alumni will be recognized at the Alumni and Friends/Hall of Fame Banquet at 6 p.m. Oct. 10 as part of the Homecoming 2014 celebration. Each week the Truman Today will profile different award honorees. This week looks at the Bulldog Forever Volunteer of the Year and the Young Alumni of the Year. Originally form Odessa, Mo., Mike Wilson lives in Kansas City, Mo., with his family. He graduated with a Bachelor of Arts degree in finance in 1991. While working toward his degree, Wilson was an active member of Sigma Tau Gamma and served as their representative on the Interfraternity Council. He participated in the Missouri Government Internship Program, was a member of Student Senate, participated in multiple intramural sports and met his wife! Since graduating from Truman, he has held various positions in the financial services industry and is currently in his 11th year at UMB Bank. Wilson says he finds fulfillment through encouraging and developing others to their potential and creating process and procedures to help maximize performance utilizing efficiency and logistics. As a senior loan review officer, he assesses credit quality and policy adherence of the institutions loan portfolio. He also takes a “value-added” approach and helps business lines with strategic planning, reporting and process improvements. Wilson has been serving the Kansas City Alumni Chapter of Truman since 2000 in various leadership roles including currently as president. Additionally, he is vice chair on his Parish Finance Committee, a member of the Parish Men’s Club and teaches Parish School Religion. Wilson is a member of the Risk Management Association, an ambassador for the Kansas City Corporate Challenge, American Royal and the employee wellness program. 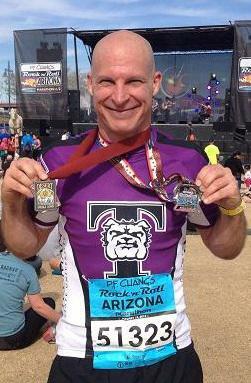 In his spare time, he trains and competes in marathons and triathlons. Wilson has been married 22 years to Terri (Lyle) Wilson and enjoys spending time raising their four boys. Ryan Shreve is the chief financial officer for FireMon, a security technology firm based in Overland Park, Kan. Ryan recently joined FireMon after seven years in various management positions at Garmin International, most recently serving as the controller with oversight of the financial consolidation of more than 50 global entities. Previously, Ryan worked as an auditor for the public accounting firm Ernst & Young in Kansas City. Ryan is a 2002 graduate, earning a Bachelor of Science degree in accounting. He also earned his Master of Accountancy from Truman in 2003. While at Truman, Ryan was active in Blue Key, Beta Alpha Psi, Order of Omega and Sigma Tau Gamma, serving as president and vice president of finance. Ryan studied abroad with the Missouri-London Program and participated in the Europe in Transition Program. Currently, Ryan serves as a member of the Accounting Advisory Board for the School of Business. He has served as the treasurer for the Kansas City Alumni Chapter and participated on the regional campaign committee for the University’s “Bright Minds Bright Futures” campaign. In addition, Ryan sits on the board of Big Brothers Big Sisters of Kansas City and has served as the treasurer of the Board of Directors for Girls on the Run of Kansas City. A Kirksville native, Ryan has a long history of family involvement at Truman. His grandfather, grandmother, mother, step-father and two sisters all attended Truman. His grandfather, grandmother and step-father all worked for the University. His mother, Claire Jepson (’73, ’87), is currently teaching in the Education Department. Lauren (Rase) Shreve is the creative director at Silpada Designs, a sterling silver jewelry direct sales company based in Lenexa, Kan. Previously, Lauren worked as a graphic designer at Bernstein Rein Advertising Agency. She is active in the community supporting various philanthropies including the Juvenile Diabetes Research Foundation, Living Beyond Breast Cancer and serving as a coach for Girls on the Run. Lauren is a 2003 Truman graduate, earning a Bachelor of Arts degree in business administration with an emphasis in marketing. She was a member of Alpha Sigma Alpha social sorority and was actively involved at the Student Recreation Center, serving as an aerobics instructor during her four years at Truman. Lauren is originally from Lee’s Summit, Mo., and graduated from Lee’s Summit North High School. Ryan and Lauren reside in Olathe, Kan., with their sons, Grant and Evan, prospective Truman Bulldogs! The 2014 Homecoming honorees are listed below. More information on each of these awards, past recipients and how to nominate someone can be found at truman.edu/alumni-donors/awards-recognition/ or you can contact bulldogforever2@truman.edu. To purchase banquet tickets visit the online Alumni Store. Informational meetings for the Missouri Government Internship will take place at 4:30 p.m. Sept. 23 and Sept. 24 in the Student Union Building Down Under. 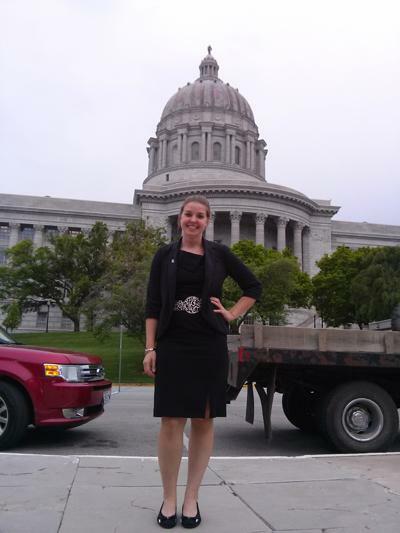 The Missouri Government Internship gives students the opportunity to gain real, meaningful experience in the fast-paced world of state politics. If selected, interns will be working full time alongside staffers in the office of a state legislator, state agency or state executive. Through interning at the Capitol students will expand their knowledge of the workings of state government and build a tight-knit and diverse professional network. Daily task vary depending on the office, but interns can expect to attend public hearings and complete legislative research. Other duties may include writing and editing published materials, preparing for hearings, tracking legislation, constituent relations, attending fundraising events, writing speeches and assisting with basic office work. For more information, contact Candy Young at cyoung@truman.edu or Heidi Templeton at heidi@truman.edu. Friday, Oct. 3, is National Truman Spirit Day. The Truman Alumni Association Board of Directors designated the first Fridays of the month in April and October as Truman’s National Spirit Days. The purpose is to promote the University to prospective students, to give alumni and friends an opportunity to display their pride in their alma mater and to create awareness of the University locally, nationally and internationally. Show off your purple pride! Submit a photo of yourself or your family here. As long as they’re displaying their Truman Spirit, you could get some free Truman prizes! Truman will celebrate Homecoming the weekend of Oct. 10-12. Organizations that would like to publicize their Homecoming events are encouraged to contact Alumni Relations at alumnievents@truman.edu. To stay up to date on all Homecoming events visit the Student Homecoming website or the Alumni Homecoming website. As part of this year’s celebration, Truman again will host a pre-game tailgate from 11 a.m.-1:45 p.m. Groups and organizations that would like to reserve a space are encouraged to do so by going to the Alumni Homecoming website or emailing alumnievents@truman.edu. Reservations can also be made online here. The parking lots on the southwest corner of Patterson and Franklin streets will be open for all families, friends, alumni and students to tailgate before the game. Admission is free. For $5, attendees can pre-purchase a tailgate lunch. Meal tickets can be purchased online here. A limited number of meal tickets will be available at the tailgate and can be purchased with cash or check, but pre-registration is preferred. In case of inclement weather, the tailgate and other events will move to the Student Union Building. Adults of drinking age may bring in their own wine or beer. Hard liquor is prohibited. Event staff will be checking IDs. Only wine and beer will be allowed and must be in cans or cups. No glass containers are permitted. Hard liquor and hard liquor products are prohibited. Kegs are not allowed. The complete homecoming tailgate policy is available here. The Mostly Live Composers Society Concert Showcase will take place at 3:30 p.m. Sept. 23 in the Ophelia Parrish Performance Hall. Written by student composers, the 50-minute concert will feature performances of newly written music for various instrumental and vocal combinations. There is no cost to attend and the concert is open to the public. Alpha Phi Omega is sponsoring a "Glow in the Dark” dodgeball tournament benefiting Campfire USA. Participants will play under black lights and are encouraged to wear white or neon clothing that will glow under the lights. Registration is now open and participants can fill out forms online or at registration tables from Sept 29 until Oct. 3. The cost to participate is $25 per team or $5 per person, and each team must include at least two girls. The tournament will take place at 5 p.m. Oct. 4 in the Pershing Small Gym. Or sign up tables will be available from 10 a.m.- 4p.m. Sept. 29-Oct. 3. The Truman community is invited to participate in two events that will discuss the current issues from Ferguson, Mo. Speaker Nathan Stephens will discuss black males and the law. Sponsored by Academic Affairs, Student Affairs, ResLife, OCCS and Multicultural Affairs. For more information, contact the Student Affairs Office at 660.785.4111. Students thinking about going to graduate school should consider applying to the McNair Program. Learn more about this valuable resource and the eligibility requirements at two McNair information meetings at 12:30 p.m. Sept. 29 in Magruder Hall 2000 (STEM majors) and 3 p.m. Sept. 29 in Violette Hall 1140 (all majors). Applications to the program are accepted Oct. 1-Nov. 1 at mcnair.truman.edu. The SERVE Center’s 9th Annual Big Week Of Giving will take place Sept. 24-Oct. 4. Throughout the week, SERVE Center staff will partner with Truman nutrition classes to organize fundraisers and service projects in order to raise money, canned food and awareness for the Food Bank of Central and Northeast Missouri. SERVE Center activities include a kickball tournament, a canned food drive in the Residence Halls and a Community Partner Appreciation Luncheon. Tables will be collecting donations and canned food from 10 a.m.-3 p.m. Sept. 27 at Hy-Vee and from 10 a.m.-3 p.m. Sept. 28 at Walmart. For more information on events, check out the SERVE Center’s Facebook page and Twitter. The SERVE Center is looking for nominations for the 2014 Community Partner Appreciation Award. The award is given to recognize an outstanding community member or organization that has worked closely with the University to promote public scholarship (community service, service learning, civic engagement, etc.) among Truman students. Community partners play a vital role in engaging the campus and students with communities to meet critical needs. Nominations are due by Sept. 24 and may be submitted through an online or paper application. More information can be found at serve.truman.edu/community-partner-award-nomination/. The Sierra Club will be holding two public events in Kirksville to discuss critical environmental issues and to explain how local residents can get involved. The first event will focus on the 50th Anniversary of the Federal Wilderness Act, which was signed into law by President Lyndon B. Johnson on Sept. 3, 1964. The National Park Service is currently considering extending wilderness management to 3,500 acres in the Big Spring area in the Ozark National Scenic Riverways. On display at this time in the Kirksville Arts Association Gallery are two coordinated exhibits—“Of A Wild Nature” featuring works by regional artists; and “50 Years of Wilderness: Through the Lens of Missouri’s 8 Wilderness Areas.” The latter is a traveling exhibit of professional photographs with images of flora and fauna taken by Richard Spener and Toni Armstrong in Missouri’s protected wilderness areas. Kirksville Arts Association Gallery, 117 S. Franklin St. The speaker will be Sierra Club Missouri Chapter Director John Hickey. The second event will focus on how Missouri can move from its current dependence on coal to a clean energy economy based on energy efficiency, wind and solar. Particular attention will be paid to practical actions that students, faculty and community members can take to support that transition. Convertibles are needed for the Homecoming Parade from 8:30-11:30 a.m. Oct. 11. Contact Shelby Sims in the Center for Student Involvement at 660.785.4222 or ssims@truman.edu for additional information. Saïd Sayrafiezadeh, acclaimed author of the memoir “When Skateboards Will be Free,” will be giving a reading at 7:30 p.m. Sept. 30 in the University Art Gallery as part of the Clayton B. Ofstad Readings Series. Sayrafiezadeh is the author of the both the short story collection “Brief Encounters With the Enemy” and “When Skateboards Will Be Free,” for which he received a Whiting Writers’ Award. The memoir was also selected as one of the 10 best books of the year by The New York Times. His short stories and personal essays have appeared in The New Yorker, The Paris Review, Granta, McSweeney’s, The New York Times and The Best American Nonrequired Reading. The event is free to the public and refreshments will be served. Truman’s Theatre Department will perform “Eurydice” Oct. 1-4. Tickets cost $3. Sarah Ruhl reimagines the classic myth of Orpheus through the eyes of its heroine. Dying too young on her wedding day, Eurydice must journey to the underworld, where she reunites with her father and struggles to remember her last love. With contemporary characters, ingenious plot twists and breathtaking visual effects, the play is a fresh look at a timeless love story. For additional information or to reserve tickets, visit or call the Ophelia Parrish Box Office at 660.785.4515. The class will take place from 3-5 p.m. Oct. 4 in the Student Union Building Activities Room. The class can accommodate 30 students. Those who complete the class will receive a specially designed safety whistle. The University Conduct Board hears cased of alleged misconduct to determine whether a student or student organization’s behavior violates the Student Conduct Code, and if a violation is found, the imposition of sanctions. Additionally, the University Conduct Board seeks ways in which to connect the qualities of citizenship with the values of Truman State University. The Board is comprised of faculty, staff and student members. Student members would be expected to participate in various social justice and civic projects on campus, as well as participate in administrative hearing and mediation sessions. The term of appointment is two years. Applications can be found at conduct.truman.edu. They are due by 5 p.m. Oct. 6 in the Student Union Building Room 1110. For the Sept. 22 session, the Learning Technologies Team will join forces with Dana Vazzana, director of Academic Professional Development, in the Student Union Building Conference Room to offer an open hour to eat lunch together and to discuss topics of interest. Each of these Monday sessions will also feature a “food for thought” presentation. These are brief programs from faculty speakers in the Magna Online 20 Minute Mentor Series. Click here for more details about the Monday Mentor Sessions. Join the Learning Technologies Team for these brown-bag lunch sessions on popular topics in instructional technology. While attendees eat, staff members will share information about apps and tools that can help provide better feedback, connect with out-of-town experts, get access to specialized training and much more. The Sept. 24 session will focus on Lynda.com training resources in a special one-time-only location, the Multimedia Lab in Pickler Memorial Library 204. Blackboard Systems Admin, Sherry Dare, hosts open hours for those seeking Blackboard support and instruction. Dare will be available in the McClain Hall 215 computer lab during this time to answer questions about using Truman’s learning management system, Blackboard Learn. Don’t forget this special feature, a facilitated webinar sponsored by the Academic Professional Development Committee. Lunch will be provided for those who RSVP. The Herbert Scoville Jr. Peace Fellowship is a highly competitive national program that provides undergraduates and graduate students the opportunity to work in Washington, D.C., with one of more than two-dozen participating public-interest organizations focusing on international security issues. Scoville Fellows may undertake a variety of activities, which include research, writing, public education and advocacy in support of the goals of their organization, and may attend coalition meetings, policy briefings and Congressional hearings. The program has awarded 154 fellowships since its inception in 1987 and is offered in the Spring and Fall semesters. It lasts from six to nine months and provides a salary, health insurance and travel costs to Washington. The Scoville Fellowship does not award grant or scholarship money to students. Applications for the Spring 2015 fellowship are due Oct. 6. There is no specific major required to apply. For more information, visit www.scoville.org. Unsure about how to use the weight room equipment at the Student Recreation Center? Tired of doing the same exercises but don’t know what to do? Sign up for Tru-Strength, a free weight room orientation. Visit the website for upcoming dates or times. The Student Recreation Center will have free body composition assessments from 12-1 p.m. Sept. 22, 3:30-5:30 p.m. Sept. 24 and 10:30-12:30 p.m. Sept. 25. Tests include measuring body fat percentage, blood pressure, waist-to-hip ratio and body mass index. Sign up at the weight room desk. Assessments will also be conducted Oct. 20-23, Nov. 17-20 and Jan. 26-29. The Student Recreation Center will teach yoga classes from 4-4:50 p.m. on Wednesdays and 11 a.m.-12 p.m. on Saturdays. Carlie, the new yoga instructor, will lead the classes. Check out the updated group exercise schedule here. For those interested in tailgating before home football games, tailgating is allowed anywhere in available parking lots. However, tailgating with alcohol will only be allowed in the University parking lot, located off of Florence Street and south of the Campbell Apartments. Those interested in tailgating with alcohol before football games must adhere to the tailgating policy. For additional questions or clarification, please contact the Department of Public Safety at 660.785.4176 or Athletics at 660.785.4236. Admission is $3 for Truman students with an ID and $5 for general admission. Oct. 26 is Kids’ Day from 1-3 p.m. There will be crafts and trick or treating. Admission is $3 per child. Submissions for the conference must be received by Oct. 3. Papers should be 10-15 pages in any area of philosophy or religious studies. For more information, contact David Murphy at 660.785.7246 or email dgmurphy@truman.edu. Family Day 2015 is set for Sept. 19. A schedule will be posted online in June. The current art and literature exhibition of “Interpretations II” of the Columbia Art League is featuring literary work by Betty L. McLane-Iles, professor of French, including her original poetry and an excerpt from her 2008 historical novel on the Spanish Revolution and French Resistance, “Dieppe Crossing.” Chosen artists and writers had been matched with each other and asked to interpret other person's work. The exhibition began in late August and continues through Oct. 30. A published anthology of all art and writing in the exhibition is forthcoming. Barkley Advertising Agency will host an information session from 6-7:30 p.m. Sept. 23 in the Student Union Building Georgian Room B. The session will discuss the company and its opportunities for diverse majors. 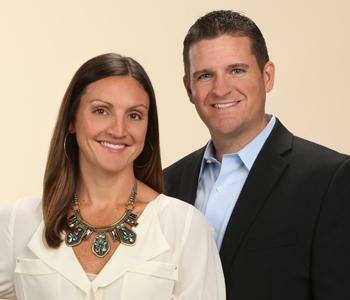 Based out of Kansas City, Barkley is an independent advertising agency with clients such as Sprint, Adidas, Hallmark, Target, Payless, Applebee’s and Vanity Fair. The agency will also be available by appointment Sept. 24 to critique resumes and portfolios. For more information, contact the Career Center at 660.785.4353. The Missouri Greece Study Abroad 2015 program is offering five $1,000 scholarships for students who wish to study abroad in Greece for the Spring 2015 semester. For more information, contact the Center for International Education at ciea@truman.edu or visit the Study Abroad Office in Baldwin Hall 118. Deadline to apply is for the Spring 2015 semester is Oct. 10. The Gilman International Scholarship Program Application for Spring 2015 is now open. This is a scholarship ideal for students studying or interning abroad during the Spring 2015 term. The deadline to apply is 11:59 p.m. Oct. 7. A study abroad advisor and a financial aid advisor must certify the application. For more information, please visit the Gilman Scholarship website. If you are interested in studying less commonly taught languages or looking to study abroad in Africa, Asia, Central and Eastern Europe, Eurasia, Latin America or the Middle East, then you might qualify for a David L. Boren Scholarship or Fellowship. Applications are now available for the 2015-2016 academic year at borenawards.org. These awards provide funding for undergraduate and graduate student studies. Undergraduate students can receive up to $20,000 for an academic year study abroad and graduate students can receive up to $30,000 for language study and international research. Recipients commit to working in the federal government for a minimum of one year in exchange for funding. The application deadline for the Boren Fellowship is Jan. 27 and for the Boren Scholarship is Feb. 4. For more information, contact the Study Abroad Office at ciea@truman.edu. Are you interested in learning more about the opportunities available to you from Study Abroad? Webinars are free of charge and informative. Join the German Academic Exchange Service (DAAD) for a webinar from 12-1 p.m. Sept. 23 to learn about DADD Programs and for a walk-through of the application process. The webinar will present all scholarships available for the 2015-2016 academic year and participants will have the opportunity to answer questions at the end. Register here. The U.S. Department of State’s Benjamin A. Gilman International Scholarship Program will host a webinar from 9:30-10:45 a.m. Sept. 26. The webinar will discuss international exchange opportunities for STEM majors and STEM participation in education abroad. Register here.